1960's Revive & Oldies 7"
1970's Revive & Oldies 7"
1980's, 1990's, 2000's Revive & Oldies 7"
SPOTLIGHT ON REGGAE ON TOP! 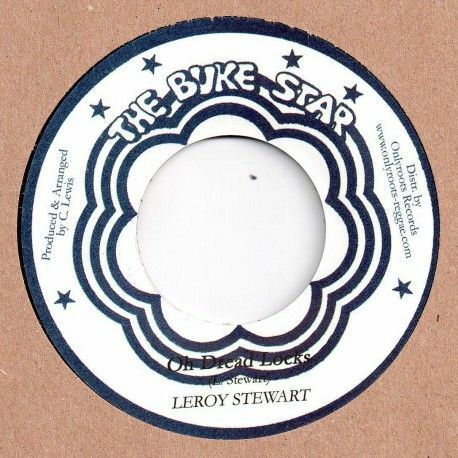 Leroy Stewart - Oh Dread Locks / Barry Pang - Psalm Of Satta (The Buke Star/ Onlyroots) EU 7"
Bunny Lie Lie - Take It Easy / version (The Buke Star / Onlyroots) EU 7"
Track Listing / Description Obscure 1977 roots one-a-way reissued by France's Onlyroots crew. Stewart also recorded the great Step Forward for Prince Jazzbo in 1975, though little else can be recalled. Tough deejay piece on the reverse by the even more obscure Barry Pang. More cuts by Delroy Webster and Bunny Lie Lie now also available c/w dubs! Here you will find information on forthcoming releases and other news. Here we present items of interest from our past and reggae memorabilia. Get exclusive discounts and news Join our mailing list today! Our servers are 100% secure so shop with confidence. Orders with a cart spend of over £75.00 will receive a 5% discount on the items. Orders with a cart spend of over £150.00 will receive a 10% discount on the items.